It’s the draft. They’re calling it the “Superstar Shake-Up.” But for all intents and purposes, it’s the draft. This is a good time a year for it, too. It’s the unofficial start to WWE’s new season. You can shift people around and start building new programs for Summerslam, or even Wrestlemania XXXIV. More importantly, it freshens everything up with new programs, and gives certain talents a clean slate. There’s been plenty of buzz about who’s going and who’s staying. I’ll address some of that here. But by and large, these would be my draft picks for Raw and Smackdown, with five picks for each show. Let the mock draft begin! Moving AJ to Raw is a risky move. He’s arguably Smackdown‘s most valuable asset right now, and they’ve largely built that show around him since the roster split. By on the flip side, there’d be a lot for him to do on Raw. His former Bullet Club co-horts Luke Gallows and Karl Anderson are over there. As is the man he ousted from that group, Finn Balor. You can build to programs with Roman Reigns and Seth Rollins. While I don’t expect him to go babyface, if that happens, Kevin Owens would be there. I’d be curious to see what AJ could do with Braun Strowman. There’s also the man I’ve listed at number nine. Either way, Styles presents you with a lot of options. Considering how valuable he’s been to the company at large since his debut, it’s not surprising they’d want him on the so-called flagship show. With any luck, he can breathe a little more life into those three hour broadcasts. 2. Charlotte Flair to Smackdown. From a creative perspective, Charlotte has simply run out of opponents on Raw. They’ve put her with Bayley since January, and we all know how long she was with Sasha Banks. On paper, a move to Smackdown immediately presents her with three intriguing opponents: Naomi, Nikki Bella, and Mickie James. Of course, we’ve seen her work with Becky Lynch before. But it’s been awhile, and they always had a nice hero/villain dynamic. Bottom line: The “Queen” needs a new kingdom to rule over. So let’s give her one. 3. Alexa Bliss to Raw. Alexa is essentially in the same situation Charlotte is in. But while she was one of the breakout stars of the draft, her abilities aren’t quite as refined as Charlotte’s. Her mic work is also very different. She’s got a great high school cheerleader vibe going on, but her vocal delivery is softer than we’re used to. It will do her some good to mix it up with Bayley on television. I’m not sure how much longer Sasha Banks will be a babyface. But in the meantime, that would work too. 4. The New Day to Smackdown. The Smackdown Tag Team Division has The Usos, American Alpha…and that’s it, really. None of the other teams have any steam right now. So putting the New Day on Smackdown makes sense in that respect. 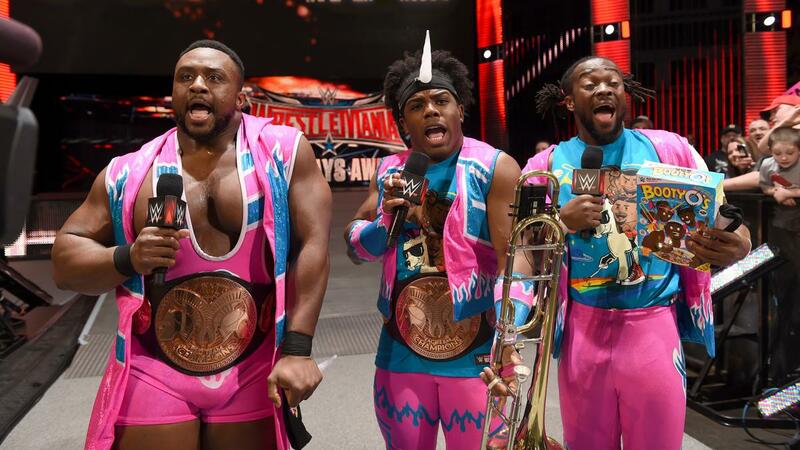 I imagine Kofi, Big E., and Woods will jump right into the title hunt, and quit talking about ice cream. Frankly, that may be the biggest benefit to the move. I’m wondering if they put Kaliso on Smackdown in the hopes that he’d become the next break-out Hispanic star. So far they’ve had no such luck. But that’s what getting demolished by Dolph Ziggler week after week will do to you. Billed at 170 lbs, Kalisto is a natural fit for the Cruiserweight Division. He always has been. As we’ve seen with Neville, there’s tremendous value to adding pre-established names to that fold. They also have the option of putting him back with Sin Cara if they need to. This switch can get Kalisto back on track. 6. Sami Zayn to Smackdown. When Sami was called up, the biggest issue I had with him was that he had no identity to the casual viewer. He was Kevin Owens’ best friend turned worst enemy. That’s all we knew. That’s been rectified in these last few months. He’s now our new resident underdog. But Raw is also pretty crowded. Sami has had to compete for airtime with the likes of Goldberg, Roman Reigns, Seth Rollins, and Chris Jericho. Goldberg is gone now, but Finn Balor is also back. Moving Sami to Smackdown does two things. Firstly, it gets him away from Kevin Owens. On a given week when they can’t come up with anything for them, they simply put Owens and Zayn against each other. Their rivalry desperately needs some space. More importantly, putting him in a slightly smaller pond gives him a chance to up his value and prove his worth as an upper-card babyface. Sami Zayn has a legit shot at being a star in the same vein as Daniel Bryan. This can be his next step on that path. 7. Mickie James to Raw. Since arriving on Smackdown, Mickie’s had some good matches with Becky Lynch. She also cut a pretty good return promo. But that’s about it. While I understand she’s there to put the new girls over, she became a background player far too quickly for my taste. Mickie is more or less a babyface right now. 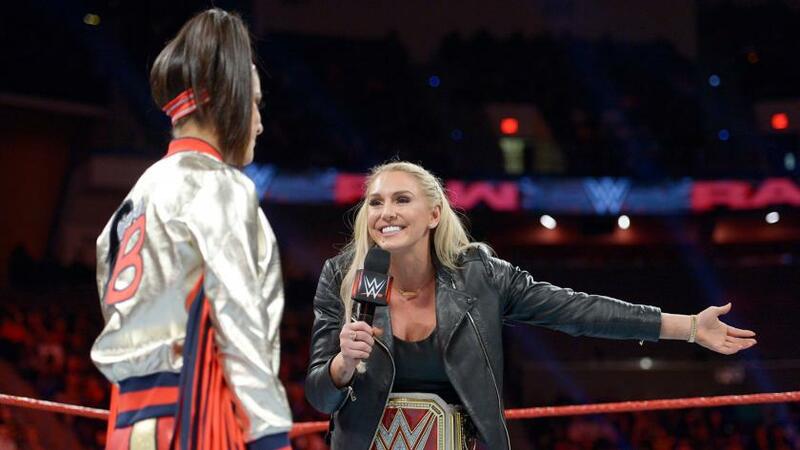 I say you keep her that way, and get her over to Nia Jax. I’m not as hard on Nia as some people are. But working with Mickie could be a valuable learning experience for her. Later, Mickie can work with Sasha Banks and Bayley. And if Alexa is indeed moved to Raw, there’s always the potential for more there. I’ll begrudgingly admit that teaming with Sheamus has been good for Cesaro. It’s brought out another side of his personality, and let him get in touch with the entertainment aspect of WWE a bit more. But we’ve all been saying it for years: There’s so much potential in a Cesaro singles run. So let the man go to Smackdown and do his thing. Put the Intercontinental Title on him and let him have a good, sustained run. Let him establish himself as a credible champion. Plus, Sheamus and Cesaro will inevitably break up at some point. With all due respect, is the world really clamoring for matches between those two after what we saw last year? 9. 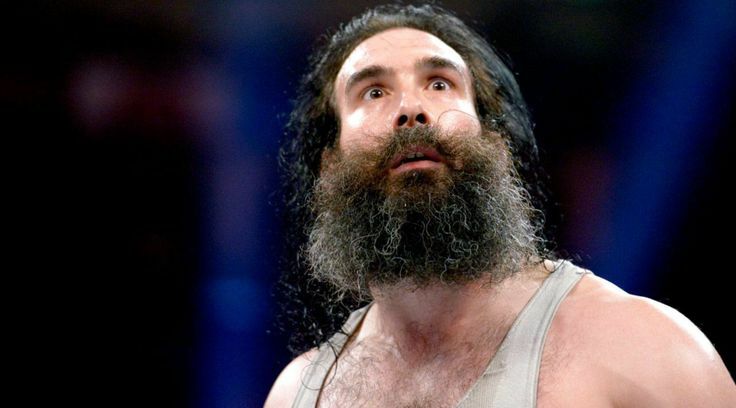 Luke Harper to Raw. Harper is in a awkward spot on Smackdown. He had a damn good match with Randy Orton at Fastlane, but he lost. Then he almost became the top contender for Bray Wyatt’s WWE Title, but he lost. Then he wrestled Bray on television, and he lost. A feud between Bray and Luke could have ben interesting. But the timing seems to be off. Moving him to Raw is risky, considering what happened the last time they broke him away from the Wyatt Family. But he’s got a little more developed this time around. They’ve been giving him some mic time, and that would need to continue if he moves to Raw. But perhaps it’s time to re-brand all together. Up to this point, he’s been completely defined by his relationship to Bray Wyatt. It may be time to put a fresh coat of paint on Harper. 10. Samoa Joe to Smackdown. At the moment, Joe is Triple H’s hired gun. But apparently Hunter and Stephanie won’t be around for a little while. That gives Joe some valuable time to establish himself away from them. 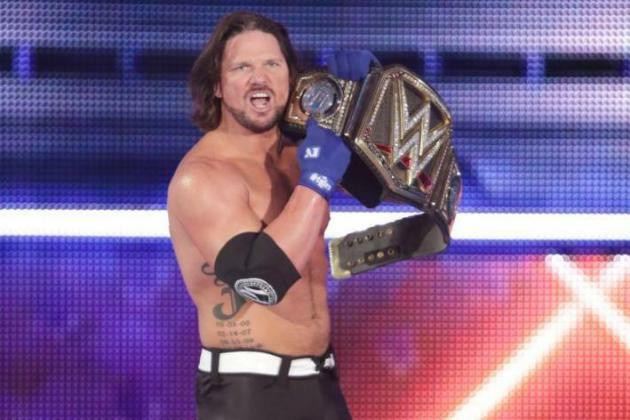 The best place to do that might be in the void left by AJ Styles on Smackdown. While I can’t say I’m looking forward to hearing David Otunga call his matches, a lone Joe could easily find himself in the WWE Title picture on Smackdown. It’s tough to be the resident monster when you’re sharing a broadcast with Brock Lesnar and Braun Strowman. But he’d have lots of room on Smackdown. What’s more, as an ally of Stephanie’s he’d have a built-in opponent in Shane McMahon. Summerslam, perhaps? This entry was posted in Uncategorized and tagged AJ Styles, Alexa Bliss, Big E., Cesaro, Charlotte Flair, Kalisto, Kofi Kingston, Luke Harper, Mickie James, Nia Jax, pro wrestling, professional wrestling, Rob Siebert, Sami Zayn, Samoa Joe, The New Day, WWE, WWE Draft, WWE Monday Night Raw, WWE Raw, WWE Smackdown, WWE Smackdown Live, Xavier Woods on 04/07/2017 by primaryignition.